Tasha Marsaglia has lived in the Plainfield area for just over 6 years. Tasha is originally from Washington State where she and her family lived until she was in the sixth grade. Afterwards she and her family moved to Florida where she graduated high school and attended a small University in North Carolina where she received her degree in liberal studies. Shortly after she began working in Admissions for her alma mater, then began to explore a career in community relations once arriving in Illinois. Tasha had a chance to be a member of the PACC while working at Rasmussen College where she sat on the 5k committee, the Ambassador Committee, and attended many of the chamber events. It was then where she began to know the business community and when the opportunity to become part of the PACC staff presented itself, which was an opportunity she welcome wholeheartedly. Tasha and her family currently reside in Plainfield. Vitella Barnes has lived in this area for over 20 years, and grew up in Chicago. Since moving out here and having had such a great experience, she has wanted to become more involved in the communities in her area to help them become even better places to live. 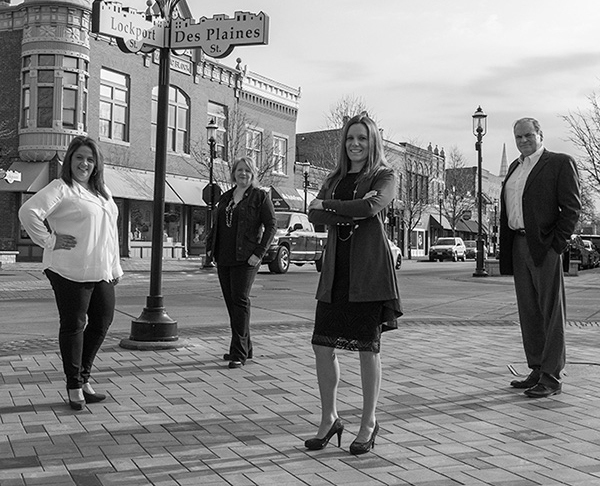 Vitella enjoys working with people and hopes to make an impact by assisting all Plainfield residents and business owners achieve their dreams and goals. Vitella currently holds a B.A. in Business Management from the University of Robert Morris. Vitella hopes to be here for many years to come! Vitella and her family reside right here in Plainfield. AJ lived in the area all her life. She built her first home in Plainfield Township in 1996 and still resides there with her family. AJ holds a Bachelor of Arts from Western Illinois University. She comes to the Chamber with 15+ years of Marketing experience, primarily as a Senior Graphic Designer with a heavy focus on Brand Awareness and Customer Loyalty. She is excited to partner up with so many fantastic businesses by helping Plainfield's newest arrivals feel comfortable and get better acquainted with their new surroundings. When she is not out cheering her kids on at their games or embarrassing them with her camera, you can spot her at the Plainfield Community Gardens or hanging out at any of the many shops or restaurants in the Plainfield Area. Pat Ryan has lived in the area his entire life and has long been a proponent of local business. Having been in the local newspaper business for many years, most recently the Advertising Director for the Plainfield Enterprise and six other weekly newspapers. He likes helping independent businesses grow and thrive and believing the chamber is a great vehicle to assist businesses to achieve their goals. Pat holds a B.A. in Journalism from the college of St. Francis, currently U.S.F and enjoys being a gym rat. Pat and his wife Debi reside in Joliet. He has a stepdaughter, son in law and two fabulous grandchildren.